1 A None No Power Seat 1 A is a standard Economy seat with extra legroom due to exit row however, the proximity to the lavatory may be bothersome. Porter designates this seat as a 'Premium' seat, an extra surcharge must be paid to reserve this seat. 1 B None No Power Seat 1 B is a standard Economy seat with extra legroom due to exit row however, the proximity to the lavatory may be bothersome. Porter designates this seat as a 'Premium' seat, an extra surcharge must be paid to reserve this seat. 10 A None No Power Seat 10 A is a standard Economy seat that is missing a window. 10 D None No Power Seat 10 D is a standard Economy seat that is missing a window. 12 A None No Power Seat 12 A is a standard Economy seat with a misaligned window. 12 D None No Power Seat 12 D is a standard Economy seat with a misaligned window. 19 A None No Power Seat 19 A is a standard Economy seat in the last row of the plane. This seat has limited to no recline due to the exit row behind and the close proximity to the galley may be bothersome. 19 B None No Power Seat 19 B is a standard Economy seat in the last row of the plane. This seat has limited to no recline due to the exit row behind and the close proximity to the galley may be bothersome. 19 C None No Power Seat 19 C is a standard Economy seat in the last row of the plane. This seat has limited to no recline due to the exit row behind and the close proximity to the galley may be bothersome. 19 D None No Power Seat 19 D is a standard Economy seat in the last row of the plane. This seat has limited to no recline due to the exit row behind and the close proximity to the galley may be bothersome. 2 A None No Power Seat 2 A is a standard Economy seat. Porter designates this seat as a 'Premium' seat, an extra surcharge must be paid to reserve this seat. 2 B None No Power Seat 2 B is a standard Economy seat. Porter designates this seat as a 'Premium' seat, an extra surcharge must be paid to reserve this seat. 2 C None No Power Seat 2 C is a standard Economy seat with extra legroom due to exit row however, the proximity to the lavatory may be bothersome. Porter designates this seat as a 'Premium' seat, an extra surcharge must be paid to reserve this seat. 2 D None No Power Seat 2 D is a standard Economy seat with extra legroom due to exit row however, the proximity to the lavatory may be bothersome. Porter designates this seat as a 'Premium' seat, an extra surcharge must be paid to reserve this seat. Porter Airlines offers snack and beverage service on all flights, including complimentary soft drinks, wine, and beer. 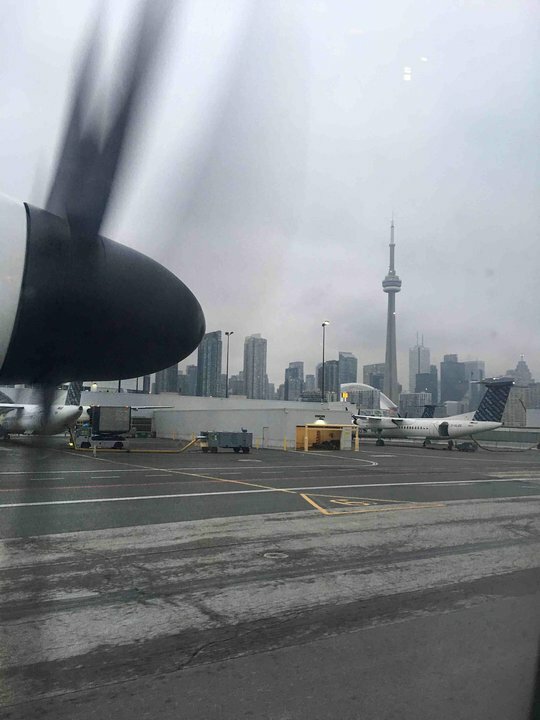 This Bombardier Q400 is relatively fast, quiet, and offers leather seats with a couple more inches of legroom than found on most other planes of this type. Premium Seats are located at the front of the cabin. These seats offer priority boarding in addition to extra legroom. Lots of leg room. Quiter than the old dhc 400s. good food an nice water glasses. Seat 2D : First to enter and exit the plane. A plus if you are on a tight schedule. Plenty of legroom and space, nice window view. Fixed armrest dividers makes this less confortable than expected. Moved to 3D and this was a better setting. Section is on the cold side; the proximity of the engines makes it quite noisy. As this is an exit row, there is not much storage room besides the overhead bin. Porter staff and stewards are genuinely nice and courteous. they will go the extra mile for their passengers. Free local and international beer and wine selection. This seat is brutal. Right outside the window is the propeller and it is extremely loud and vibrates the seat. Seats towards the back are much quieter and more comfortable. Great seat with a lot of legroom compared to other Q400. Quiet flight. Plenty of legroom. VERY noisy (seats at the rear of the aircraft are much quieter). Superb service. Great staff both on the ground and on board. Definitely my choice of airline for short-haul out of Toronto. Great airline, all food and drink on board are free, very nice staff and always a enjoyable flight . Good comfortable seat. nice view. really good service. small overhead bins. BOS YTZ NEVER AGAIN ON PORTER. So loud i couldnt hear anything when we got off the plane. Apparently the q stands fro quiet...I DONT THINK SO! Next time i will fly into YYZ. Who cares if it isnt right in the city...as long as i dont take porter, i will be happy. This seat was very loud due to the engine is right outside the window. really liked the flight and the plane. Liked it better than the ATR as the plane is quieter,more comfortable and the flight quicker. 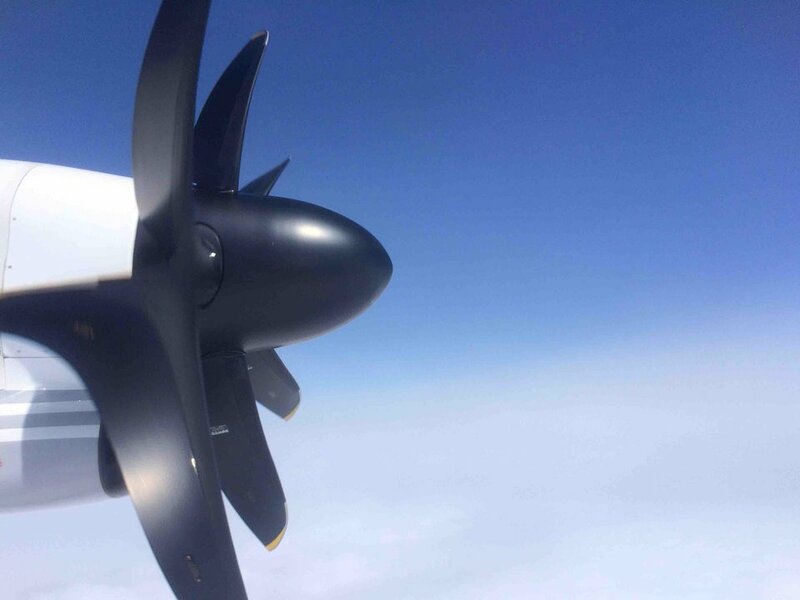 Porter flies 1 versions of Bombardier Q400.